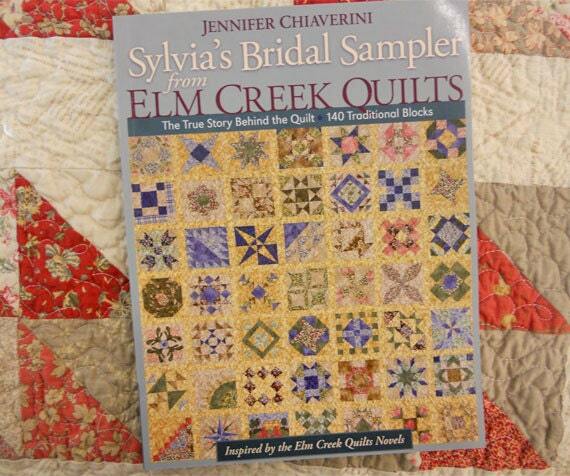 Sylvia's Bridal Sampler from Elm Creek Quilts by Jennifer Chiaverini. Inspired by her book, The Master Quilter, the 6th book inthe Elm Creek Quilt Series. 140--6 inch blocks make up this masterpiece. Complete directions for each block whether foundation pieced, traditionally pieced or uses a template. A lovely grouping of block patterns this book is a perfect addtion to any quilters library.